Here’s what’s happening across the border: The govt of Khyber Pakhtunkhwa decides to negotiate with protesting PTM members and app-based taxi service Careem gets hacked. 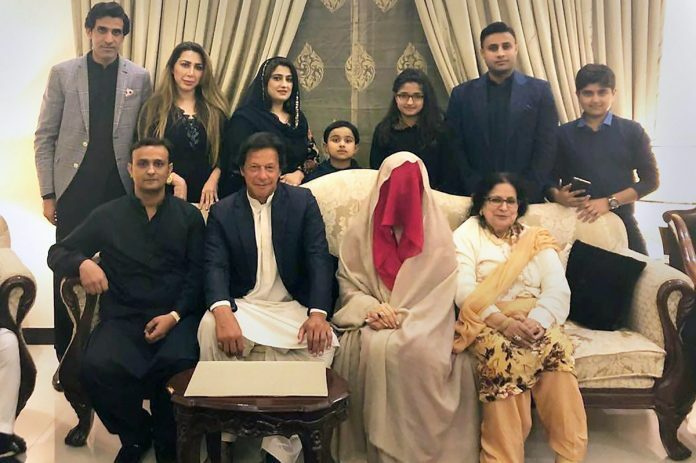 The rumours about Pakistan Tehrik-e-Insaf (PTI) chief Imran Khan’s marriage took over the internet, as a local Urdu newspaper reported that his third wife, Bushra Maneka, left their palatial home ‘Bani Gala’ for her maternal home, after a domestic spat. The newspaper suggested that the reason for her departure could be Bushra’s son from a previous marriage overstaying at Bani Gala. The report mentioned that both Imran and Bushra had earlier agreed that no one from Bushra’s family would stay at their home for a long time. As the news of the split went viral, many came up with their own theories about the split. There were rumours that the cause of the dispute was Khan’s pet dogs which posed a menace for Bushra during her religious activities. It was also rumoured that Khan’s sisters, who are also staying in Bani Gala, expressed their displeasure with Bushra and influenced him against her. Imran Khan had married Bushra Maneka in Lahore on 18 February and has often referred to her as his spiritual guide. A young entrepreneur and environmentalist, Shahzad Qureshi has grown a small forest in Karachi that has been a catalyst in saving Karachi from the immense summer heat. Qureshi’s ‘urban forest’ is a 400 sq m concentric patch of around 1,200 trees which are as tall as 25 ft, located in the tony residential area of Clifton. According to Qureshi, the temperature is four to five degrees lower in the forest than the rest of Karachi. It also serves as a cocoon away from the city’s noise pollution owing to a large number of birds residing there. In June 2015, Karachi witnessed a deadly heat wave that killed over 1,200 people. It was this incident that pushed Qureshi, who was then running a small spa in a mall, to take action. “The heat wave just mobilised me into action,” Qureshi told the Thirdpole. He was also inspired by Indian environmentalist, Shubhendu Sharma, the founder of company Áfforestt, which provides services for creating natural forests. Sharma came on board for Qureshi’s project and helped him design the urban forest. A traditional ‘jirga’ (council) has been formed by the apex committee of Khyber Pakhtunkhwa (KP) to address the Pakhtun Tahaffuz Movement (PTM). The jirga will be headed by the governor and comprise of other politicians and local elders. They will directly negotiate with members of the PTM. The jirga initiated a negotiation process Tuesday, after PTM leader, Manzoor Pashteen addressed the government directly in the Lahore rally, asking for justice for Naqeebullah Mehsud’s extrajudicial killing in January. Pashteen’s Twitter account was also restored Tuesday after it was suspended for a brief period after the Lahore rally. Pashteen uses Twitter to reach out to his many followers and fellow protestors for the PTM. Pakistan’s premier ride-hailing app, Careem, announced Monday that the personal data of its users was compromised in a massive cyber-security breach. All the users who signed up for the app before 14 January have been affected by the breach. Sensitive information about the users like their names, email addresses, phone numbers and trip history data has been stolen by the hackers. Careem’s team told the Dawn that 14 million customers and 558,000 drivers were active on the app during the time of the breach. The identity of the hacker has not been identified as of yet, however, Careem has initiated an internal investigation as well as steps to strengthen their security system. “There is no evidence that your password or credit card number has been compromised,” the company assured its users. Col. Gen. Oleg Salyukov, the Russian Ground Forces commander said that Russia was keen to strengthen its ties with the country. “Pakistan is a geo-strategically important country and Russia is keen to expand its existing bilateral military to military cooperation,” Salyukov said during a meeting with Pakistan Army chief Qamar Javed Bajwa in Moscow, Tuesday. The talks between the two generals took place at Kremlin palace, and Bajwa was presented with the Russian guard of honour. Salyukov also appreciated Pakistan’s efforts towards fighting terrorism and restoring peace. This meeting took place after a Pakistani delegation visited Russia recently for their national security advisers-level bilateral talks. During this meeting, future prospects for closer cooperation between Russia and Pakistan in various fields like space, cybersecurity, nuclear, intelligence-sharing and trade were discussed.